There's a natural rhythm to the weather, an ebb and flow to the atmospheric currents rippling overhead. In recent years, warm season weather patterns appear to be slowing. Not every day, not every week; but with greater regularity. This sluggish flow during the warm season could be related to rapid warming of the Arctic, impacting the speed and configuration of jet stream steering winds aloft. More research is needed to determine if this is a fluke, an aberration, or a real trend. A cool front runs out of gas and stalls over Minnesota for the better part of 4 days. Waves of showers and T-storms may dump as much as 3-6 inches of rain on parts of Minnesota Saturday into next Tuesday. The MSP metro is forecast to stay on the drier, warmer side of this boundary; with 80s Saturday and Sunday. MSP metro rainfall is about 1.4 inches below average this month - we could make up for that in a hurry. Speaking of weather getting stuck, Jose is forecast to track east of Cape Cod, then do a U-turn, hitting New Jersey in 5 days. 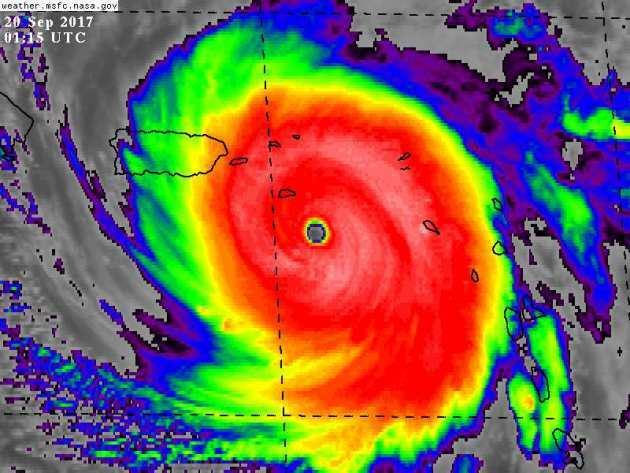 Category 5 Maria may devastate much of Puerto Rico today. Say a prayer or two. 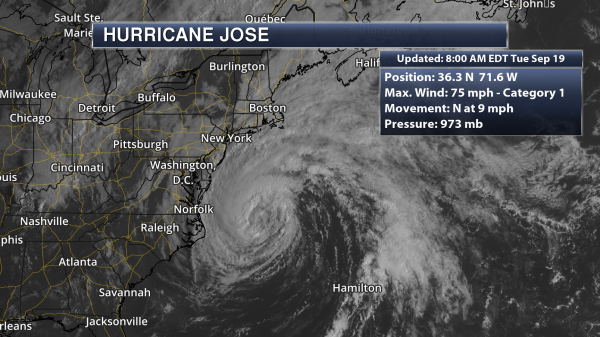 *Jose is still classified as a Category 1 hurricane this morning, sitting about 350 miles south-southwest of Nantucket, MA. *The main threats from Jose across parts of the Northeast coast will be dangerous rip currents and surf over the next several days while the system sits far offshore. Some stronger winds (with gusts of 40-60 mph) will also be possible, especially along coastal Rhode Island and Massachusetts south of Boston. Additional rainfall of up to 4” is also possible. *Maria became a very dangerous Category 5 hurricane last night before making landfall on the island of Dominica around 9:15 PM ET. While it weakened a little after landfall, it is once again a Category 5 system with 160 mph sustained winds this morning. This “potentially catastrophic” storm (as quoted from the National Hurricane Center) will head toward the Virgin Islands and Puerto Rico over the next 24-48 hours. What impacts this system could have on the United States by next week are still unknown. Tropical Storm Force Winds. Tropical storm force winds will be possible from eastern Long Island to eastern Massachusetts over the next couple days with the expansive wind field from Jose. Gusty winds of 40-60 mph will be possible across southern Rhode Island by the early afternoon hours, and for areas like Cape Cod by the evening. Maria Official Track. Maria will continue to the northwest through the end of the week at major hurricane strength (meaning winds of at least Category 3 strength). This will put this “potentially catastrophic” system near Puerto Rico and the Virgin Islands tonight into Wednesday, bringing life-threatening rain, flooding, waves and storm surge to the islands. Winds are expected to be near 145 mph as Maria approaches Puerto Rico. By the end of the week, Maria will turn north as a ridge in the western Atlantic breaks down. During this time Maria is expected to be a weaker system as well due to interactions with land through the middle and end of the week. Puerto Rico Landfall Expected Wednesday. 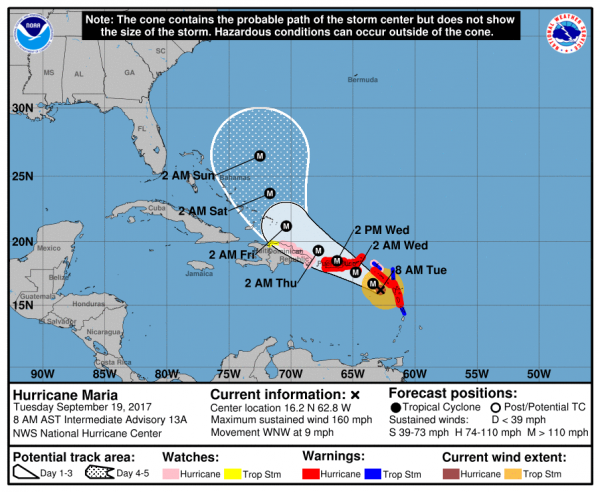 Maria is expected to make landfall as a very powerful system with at least Category 4 hurricane winds Wednesday morning in southeastern Puerto Rico. If it does make landfall as a Category 4 or 5 in Puerto Rico, it would only be the fifth time in recorded history and the first since Hugo in 1989. Storm Surge Of 6-9 Feet Possible. 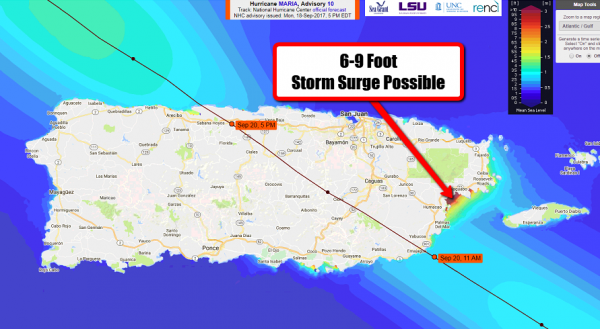 Life-threatening storm surge will be possible as Maria approaches and makes landfall in Puerto Rico, with the potential of a 6-9 foot surge at high tide in areas of southeastern Puerto Rico and in Saint Croix. Winds: Hurricane conditions later today. Winds will be strongest tonight into Wednesday. Winds atop and on windward sides of mountainous areas are likely to be stronger than surface winds. Rainfall: 10-20”+. This will cause flash flooding as well as the potential of mudslides. Impacts On United States Unknown. Maria would not have any direct impacts on the lower 48 until next week; therefore it is too early to determine what impacts - if any - this system could have. However, both the most recent runs of the European ECMWF (left) and American GFS (right) models continue to show Maria making a turn out into the Atlantic before impacting the lower 48. The system does potentially get a little close for comfort to North Carolina in the American model, though. 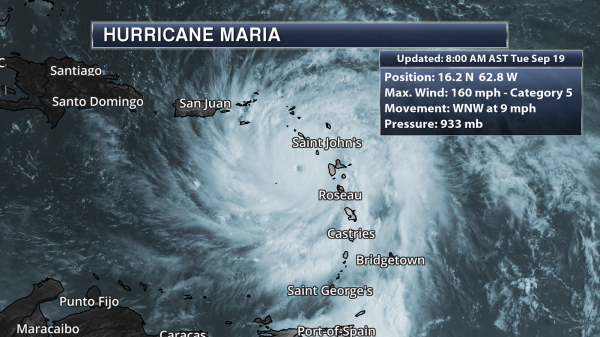 We will continue to track the latest on Maria to see if this system will bring any impacts by next week on facilities. 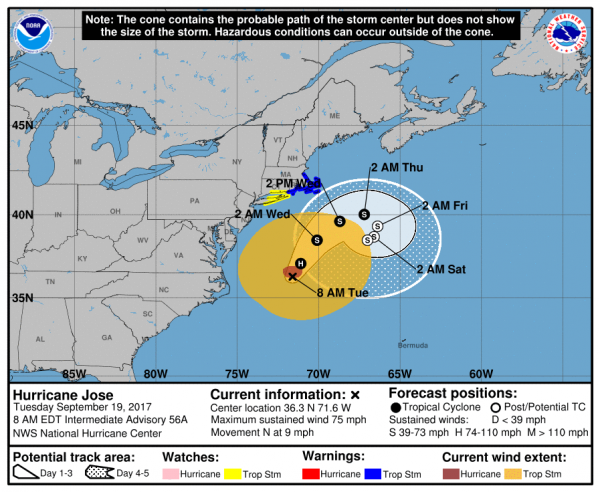 Summary: Even though Jose is passing far offshore the Northeast coast over the next few days, we are still expecting to see some impacts across the region. These include gusty winds of 40-60 mph (particularly near the coast) as well as high surf, rip currents and a storm surge of up to two feet at high tide in spots. 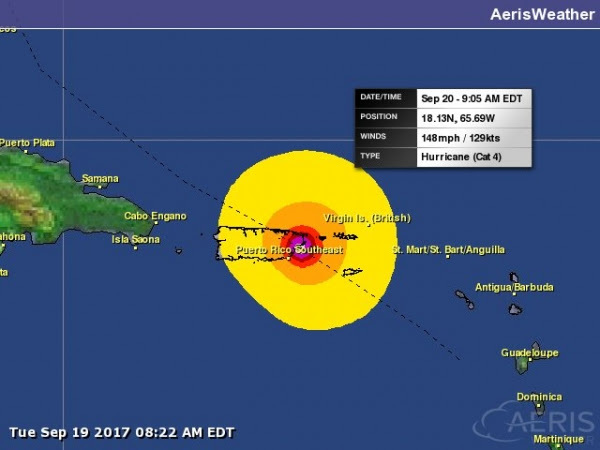 Meanwhile, Maria – a dangerous Category 5 hurricane – will continue to move toward the Virgin Islands and Puerto Rico over the next 24-48 hours. Impacts could be extensive in these areas, including over a foot of rain that will lead to flooding and mudslides, as well as a life-threatening storm surge of 6-9 feet. 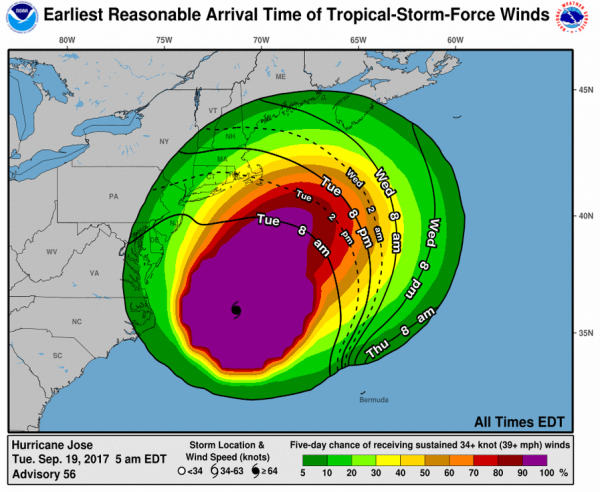 It is still too early to determine what impacts Maria could have on the United States into next week. We’re also tracking a cold front in the upper Midwest which has prompted an Enhanced Risk of severe weather across parts of the Dakotas and Minnesota today. Damaging winds, large hail and a few tornadoes will be possible as storms pop later today and move east into the evening. Hurricane Maria Does "Mind-Boggling" Damage to Dominica, Leader Says. The New York Times has details. The Best for Hurricane Irma Came From a Computer Model Few People Knew About. GFS, ECMWF and...Panasonic model? Here's an excerpt from Capital Weather Gang: "Of the massive, high-powered computer models run by governments and institutions to forecast hurricanes, the vaunted European model had the best performance during Irma. But there’s a little-known entity that preliminary data show outperformed the European model as well as the others. Enter Panasonic, the electronics company best known for making televisions. Panasonic has a subgroup in its aviation division, known as Panasonic Avionics, that works on a weather model. The model’s foundation is based on the National Weather Service’s well-known Global Forecast System model, often referred to as the American model..."
Graphic credit: "Average forecast track error for Hurricane Irma by Panasonic model (red), American GFS model (blue), and European ECMWF model (green) in the days leading up to Irma." (Neil Jacobs/Panasonic). The Stunning Price Tags for Hurricanes Harvey and Irma, Explained. Good for the economy (new construction!) Depends on who you ask - certainly not a positive for those starting over. Here's an excerpt from Vox: "Estimates for the cost of Hurricane Harvey’s damage have come in at $65 billion, $180 billion, and as high as $190 billion — the last of which would make it the costliest disaster in US history. The numbers from the second record-breaking storm that hit the US this summer, Hurricane Irma, meanwhile, are still rolling in. But totals range from $50 billion to $100 billion. To appreciate how staggering these figures are, consider that they could be enough to make the $18.57 trillion US economy lose a step, knocking between 0.6 percent and 0.8 percent off of US GDP growth this quarter, according to projections from investment banks..."
What Are "Wireless Emergency Alerts"? The next time your smart phone emits a high-pitched shriek you'll know why. Here's an explainer from NOAA: "...Wireless Emergency Alerts (WEA) are emergency messages sent by authorized government alerting authorities through your mobile carrier. Government partners include local and state public safety agencies, FEMA, the FCC, the Department of Homeland Security, and the National Weather Service. No signup is required! Alerts are sent automatically to WEA-capable phones during an emergency..."
Study Finds FEMA Flood Maps Missed 75% of Houston Flood Damage Claims Between 1999 and 2009. 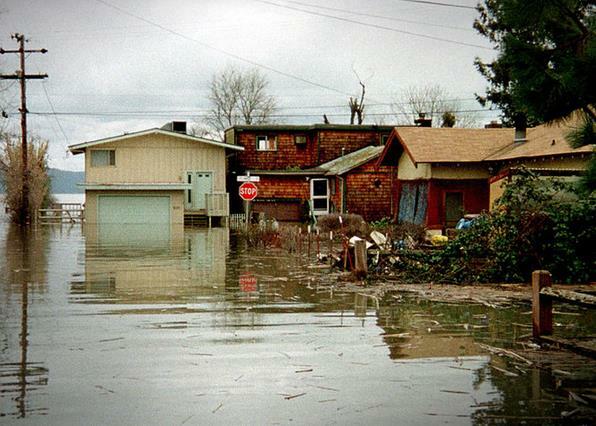 A story at Forbes caught my eye: "A recent study found that FEMA failed to capture 75 percent of flood damages within their flood maps between 1999 and 2009. The FEMA flood maps are the primary source for how the government and insurance companies evaluate flood risk and insurance premiums. There are collectively trillions of dollars worth of property that rely on these maps being accurate. The study, conducted by Rice University and Texas A&M University in Galveston, analyzed flood claims between the years of 1999 and 2009 during which there were five major floods. Each of these five floods did not meet the 100-year flood criteria and thus the FEMA flood maps which are based on 100-year floods should have been sufficient to cover Houston residents..."
Map credit: "Buildings flooded during Houston's 2016 Tax Day floods and 2015 Memorial day floods compared to FEMA's 100 and 500-year flood zones." 10 Costliest Hurricanes in U.S. History? NOLA.com in New Orleans takes a look; number one on the list is Katrina: "The 10 costliest hurricanes in U.S. history, even when damage estimates are adjusted for inflation, all occurred in the past 30 years. All but two of them struck in the 21st century. The storms hit Florida (6), Louisiana (4) and Texas (2), as well as Alabama, Mississippi, New Jersey, North Carolina and South Carolina (1 each). Most of the big ones struck more than one coastal state. But it’s not just coastal states where costs mount. Once a hurricane comes ashore and weakens, cut off from the warm seawater that fuels it, it still carries immense amounts of moisture. As it moves hundreds of miles inland and breaks up, it continues to dump that moisture in the form of phenomenal rain that floods creeks and rivers, causing even more damage..."
Most Intense Atlantic Hurricanes? In terms of central pressure Wilma is at the top of the list with a pressure of 882 MB measured in the eye back in 2005. As of last night Maria was the 10th most intense hurricane ever measured in the Atlantic basin. Downtown Charleston is Flooding More, With or Without Hurricanes. Here's a story excerpt from The State: "...Charleston’s flood woes are a prime example of how a coastal community is experiencing the first-hand impacts of climate change and sea level rise, say some city officials, conservationists and federal scientists. “It is certainly becoming more of a topic and more obvious to people,’’ Nature Conservancy climate specialist Liz Fly said of the increased flooding. “Things are just happening more frequently. This really should be in the conversation about how to live with the water.’’ Like other coastal cities, Charleston has flooded for hundreds of years because it lies in a marshy environment. But statistics indicate flooding is worse now than ever. From the late 1950s through 2013, Charleston experienced a 409 percent increase in flooding, much of it from water that pools up periodically during high tides, according to the S.C. Department of Health and Environmental Control and the National Oceanic and Atmospheric Administration..."
Photo credit: "The intersection of Wentworth and Barre streets in Charleston regularly floods. Rising sea levels are blamed for the flooding. Flood waters in this picture rose during high tide on a sunny day. Charleston also has suffered flooding from hurricane driven storms and historic rainfall since 2015." Sammy Fretwell/The State. U.S. Coastal Growth Continues Despite Lessons of Past Storms. We continue to flock to the ocean, in spite of rising seas and increasingly damaging storm surges. Here's a clip from The Washington Post: "Rising sea levels and fierce storms have failed to stop relentless population growth along U.S. coasts in recent years, a new Associated Press analysis shows. The latest punishing hurricanes scored bull’s-eyes on two of the country’s fastest growing regions: coastal Texas around Houston and resort areas of southwest Florida. Nothing seems to curb America’s appetite for life near the sea, especially in the warmer climates of the South. Coastal development destroys natural barriers such as islands and wetlands, promotes erosion and flooding, and positions more buildings and people in the path of future destruction, according to researchers and policy advisers who study hurricanes. “History gives us a lesson, but we don’t always learn from it,” said Graham Tobin, a disaster researcher at the University of South Florida in Tampa..."
Photo credit: "In this Sept. 10, 2017, photo, waves crash over a seawall at the mouth of the Miami River from Biscayne Bay, Fla., as Hurricane Irma passes by in Miami. Rising sea levels and fierce storms have failed to stop relentless population growth along U.S. coasts in recent years, a new Associated Press analysis shows. The latest punishing hurricanes scored bull’s-eyes on two of the country’s fastest growing regions: coastal Texas around Houston and resort areas of southwest Florida." (Wilfredo Lee/Associated Press). Earth Sweltered to 3rd Hottest August, Summer on Record. The AP has details: "Earth just sweated through the third hottest August and summer on record. The National Oceanic and Atmospheric Administration said Monday the globe last month averaged 61.5 degrees (16.43 Celsius), which was a degree-and-a-half higher than the 20th century average, but behind 2016 and 2015. The average temperature for June through August was 61.47 degrees (16.41 Celsius). So far the year to date has edged out 2015 and is the second hottest January through August, averaging 58.88 degrees (14.88 Celsius), behind 2016. Records go back to 1880..."
Editorial: Don't Cut NOAA. Yes, this might be a bad time to take a hatchet to NOAA's budget. For the price of a tall, soy vanilla latte you have access to what are consistently the most accurate, reliable weather forecasts and severe weather warnings in the world. Here's an excerpt from SavannahNow: "...While the national debt is real, and Congress and the president must do a better job of working together to cut waste and improve efficiency and bring fiscal sanity to Washington, there are better places to cut spending. Don’t cut agencies like NOAA that help keep this nation safe from hurricanes, at relatively low cost. NOAA’s annual budget is currently $5.6 billion, a small fraction of the federal government’s $1.2 trillion discretionary budget. The National Weather Service costs each American about $3 per year, the agency said on its website. 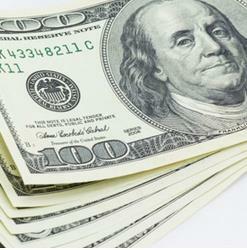 Three bucks a head is a bargain for data that provides a great value to the public. If the accuracy of hurricane tracking could be improved, most Americans probably would be willing to pay even more..."
AP Exclusive: Evidence of Spills at Toxic Site During Floods. Details via the Associated Press and Washington Post: "The U.S. government received reports of three spills at one of Houston’s dirtiest Superfund toxic waste sites in the days after the drenching rains from Hurricane Harvey finally stopped. Aerial photos reviewed by The Associated Press show dark-colored water surrounding the site as the floods receded, flowing through Vince Bayou and into the city’s ship channel. The reported spills, which have been not publicly detailed, occurred at U.S. Oil Recovery, a former petroleum industry waste processing plant contaminated with a dangerous brew of cancer-causing chemicals. On Aug. 29, the day Harvey’s remnants cleared out, a county pollution control team sent photos to the Environmental Protection Agency of three large concrete tanks flooded with water. That led PRP Group, the company overseeing the ongoing cleanup, to call a federal emergency hotline to report a spill affecting nearby Vince Bayou..."
Utilities Line Up to Profit from "Slowest Trainwreck" in History. 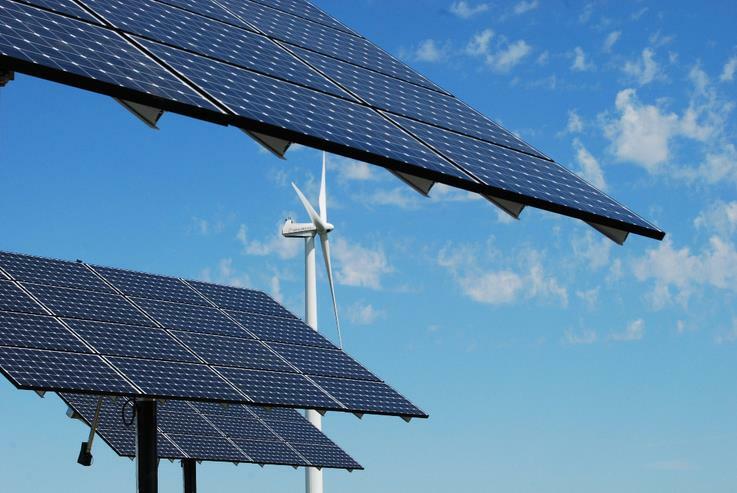 Bloomberg reports: "...Renewable energy technologies are upending the century-old, centralized business model that that utilities have used to grow. The cost of electricity from offshore wind farms, once one of the most expensive forms of green energy, is expected to slide by 71 percent over the next two decades, according to BNEF. Solar, once so costly it only made sense in spaceships, now competes with coal and even natural-gas plants on cost. “I do think we’re experiencing the slowest trainwreck in history,” Steven Martin, chief digital officer at General Electric Co.’s energy connections unit, said at the conference. “We’re going to reach some point where the marginal cost of energy is zero.” Earlier this year, Germany shocked the renewable energy industry by handing out contracts to developers willing build offshore wind farms without subsidy. Spain has also seen zero subsidy tenders, according to Starace, who said he expects the trend to go global after beginning in Europe..."
This Liquid Coating Turns Windows into Solar Panels. 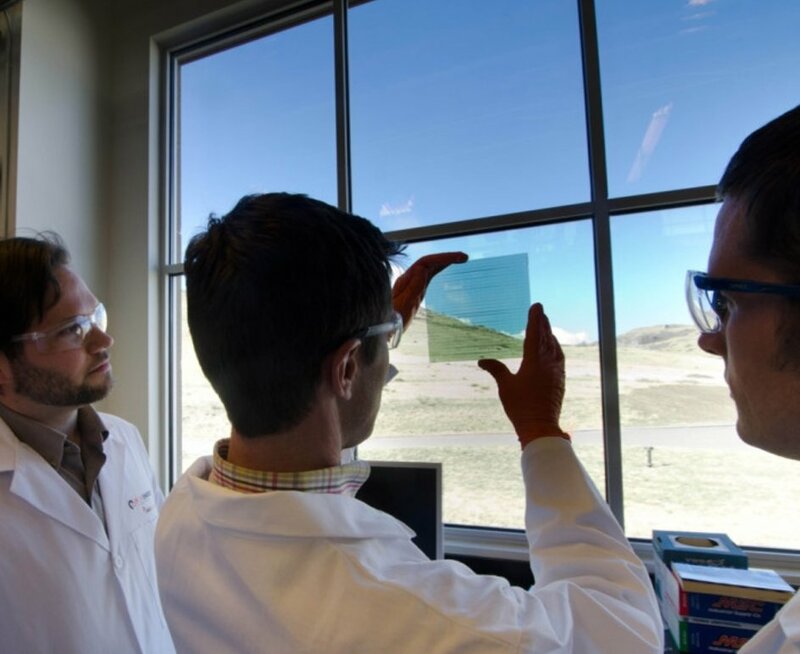 Seeker has news of emerging technology with great promise: "A Maryland company has been moving slowly and steadily for 20 years toward a very ambitious goal — turning windows into transparent solar panels that harvest energy from the sunlight that passes through. SolarWindow Technologies is among the many energy companies looking for ways to harvest solar power on a large scale. But SolarWindow's proposition is to turn windows into solar panels by way of a thin transparent coating applied to standard glass and plastic windowpanes. The coating might not generate much power when slapped on your living room window, but SolarWindow is aiming higher — quite literally. The company hopes to eventually deploy the technology onto office buildings and skyscrapers, generating energy from the acres of glass soaking up the sun..."
The Pacific Has a Pile of Trash the Size of France. Quartz has the disgusting details: "There’s a country-sized problem in the north Pacific Ocean: a patch of trash has grown to the size of France. So the environmental charity Plastic Oceans Foundation has paired up with the news and entertainment publication LadBible to campaign for it to be recognized as an official country. The campaign claims that, under Article 1 of the 1993 Montevideo Convention on the rights and duties of states, a country must be able to: define a territory, form a government, interact with other states, and have a permanent population. The Great Pacific Garbage Patch has borders (sort of), and it’s easy to create a government and institutions for interacting with others..."
Image credit: Mario Kerkstra/Plastic Oceans/LadBible. China's Camel Milk Mogul. Hung over? Try camel milk. No, I didn't know that either. Check out an eye-opening tale at roadsandkingdoms.com: "...Silver cans of camel milk appear on the table, the Wang Yuan logo running diagonally across them in a blocky, stencilled font. They are supposed to erase the effects of half a bottle of moonshine, supposed to prove that their nutrition is so magnificent that there nothing it can’t overcome, not even a baijiu stupor. The cure is so effective, Chen says, that it turns his salesmen into superhuman drinkers, and so he prevents them from taking camel milk to restaurants, lest they cause havoc with lesser drinkers. There was no such ban on our dinner. Two cases of milk are propped against a wall. I pull the tab on top of the silver can and chug. It tastes mostly of dairy, with a slightly animal whiff. It is not unpleasant. It is not alcoholic. And it doesn’t work..." (File image: Wikipedia). 80 F. maximum temperature yesterday in the Twin Cities. 70 F. average high on September 19. 79 F. high on September 19, 2016. September 20, 2001: 3/4 to 1 3/4 inch hail falls in Freeborn and Faribault counties. September 20, 1972: A downpour in Duluth produces 5 1/2 inches in ten hours. How Watching Football Helped Me Understand People Who Deny Climate Change. A little perspective from The Washington Post: "As a science journalist who has written about climate change for a quarter century, I’ve struggled to understand climate change deniers. How, I wondered, could a group of otherwise intelligent people reject the clear and growing scientific evidence that the planet was warming, climate systems were going haywire, and human activities were at the root of the problem? Then, as the new NFL season kicked off last week, I realized I was a science denier, too. Even in the face of mounting evidence that football is hazardous for players’ brains, I couldn’t stop myself from watching. I cheered gleefully as the Patriots lost on opening day Thursday Night Football and my Broncos prevailed on Monday Night Football, kicking off the Super Bowl LII season. How different am I from people who put their skeptical heads in the sand and keep burning fossil fuels like there’s no next season? If I deny the neuroscience about the long-term implication of banging heads for sport, then I can continue being a fan, right?..." Photo credit: "A trainer helping Buffalo Bills offensive tackle Michael Ola after he was injured during a preseason NFL football game in August." (Jeffrey T. Barnes/AP). 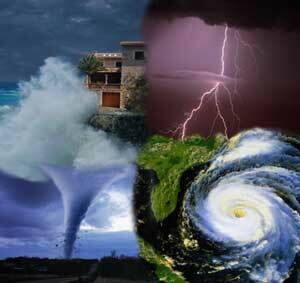 Extreme Weather: What's Climate Change Got To Do With It? Here's an excerpt of an answer from World Resources Institute: "...We also know that warming leads to higher sea levels, which in turn increases the risk of storm surge, contributing to the damage brought by hurricanes. Climate change also warms oceans, adding energy that can fuel coastal storms. Compounding this, a warmer atmosphere can hold more moisture, so there can be more moisture for storm systems, resulting in heavier rainfall. The U.S. National Climate Assessment finds that there has been a substantial increase – in intensity, frequency, and duration as well as the number of strongest (Category 4 and 5) storms – in Atlantic Ocean hurricanes since the early 1980s, linked in part to higher sea surface temperatures. By late this century, models on average project a slight decrease in the number of tropical cyclones each year, but an increase in the number of the strongest (Category 4 and 5) hurricanes and greater rainfall rates in hurricanes (increases of about 20 percent averaged near the center of hurricanes)..."
Rebuttal: Climate Change is a Life, Liberty and Property. An Op-Ed at The Washington Examiner got my attention: "...Rogan talks about the foundation of our democracy. What he omits is that in the Fifth Amendment, the founders recognized the fundamental right of citizens to be free from government actions that harm life, liberty, and property. Our nation's climate system, including its atmosphere and oceans, is tightly tied to this right. James Madison, who drafted the constitution, said in 1818: "The atmosphere is the breath of life." In Texas and in Florida, we just saw our climate, infused by fossil fuel-created carbon pollution, infringe upon the inalienable right to life, liberty, and property. One of my co-plaintiffs, 10-year old Levi, lives on a barrier island in Florida. The federal government's contribution to our climate crisis, with the cooperation of the fossil fuel industry, directly violates this right, especially us as young people..."
Yes, Climate Change Made Harvey and Irma Worse. A consistenly warmer ocean didn't trigger the storms, but there's a high probability it amped them up, juiced them into stronger hurricanes. That, and higher sea levels magnified the storm surge associated with each storm. CNN reports: "The right time to talk climate change is now.It might seem premature when people in the Caribbean, Florida and Texas are still mucking out their flooded homes. And no, changes in our planet's atmosphere did not cause Hurricanes Harvey or Irma. But the consensus among scientists is that the effects of climate change, such as rising sea levels and warmer oceans, made those storms far more destructive than they would have been in previous decades. "The short version is, climate change makes these very bad storms worse," said Sean Sublette, a meteorologist with Climate Central, a nonprofit group that studies climate change. "It's not the approximate cause of the storm, but it makes these bad storms worse. And in the case of a really bad storm, climate change can make it totally disastrous or catastrophic..."
The Idea That Climate Scientists are In It For the Cash Has Deep Ideological Roots. Here's a clip from a Guardian article: "...Suggesting that climate scientists are pushing a line about global warming because their salaries depend on it is a popular talking point that deniers love to throw around. But why do so many “sceptics”, particularly those who form part of the organised machinery of climate science denial, feel comfortable in accusing climate scientists of only being in it for the money? Duke University history professor Nancy MacLean suggests some answers in her new book Democracy in Chains: the Deep History of the Radical Right’s Stealth Plan for America. The book documents how wealthy conservatives, in particular petrochemical billionaire Charles Koch, teamed up with neoliberal academics with the objective, MacLean says, of undermining the functions of government in the United States..."
Op-Ed: Why the Wiring of Our Brains Makes It Hard to Stop Climate Change. The Los Angeles Times provides perspective: "...Humans aren’t well wired to act on complex statistical risks. We care a lot more about the tangible present than the distant future. Many of us do that to the extreme — what behavioral scientists call hyperbolic discounting — which makes it particularly hard to grapple with something like climate change, where the biggest dangers are yet to come. Our mental space is limited and we aren’t primed to focus on abstruse topics. Except for a small fraction that are highly motivated, most voters know little about the ins and outs of climate change, or the policy options relating to it. Instead, voters’ opinions about such things derive from heuristics such as political party affiliation and basic ideology..."